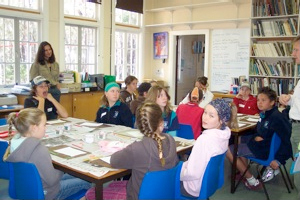 Bournda Environmental Education Centre is located in Bournda National Park near Scotts Bay. 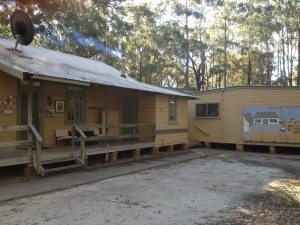 The office is a small heritage style building that has had a past as a school classroom in rural NSW. Bournda EEC has installed photovoltaic solar panels on the north-facing roof of the building which captures some of the sun’s abundant energy, lowering its demand for grid electricity. The solar collectors (panels) convert the maximum amount of sunlight into energy (or direct current electricity). An inverter, which is attached to the panels, converts this direct current to alternating current to make it compatible with grid electricity. 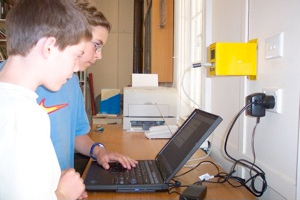 Students can explore the Plug and Power software connected to the solar panels and study the rates of electricity being generated and the subsequent saving of CO2 into the atmosphere. Bournda EEC has an extensive library and the classroom offers a warm and comfortable space to run some of the activities connected with particular programs.